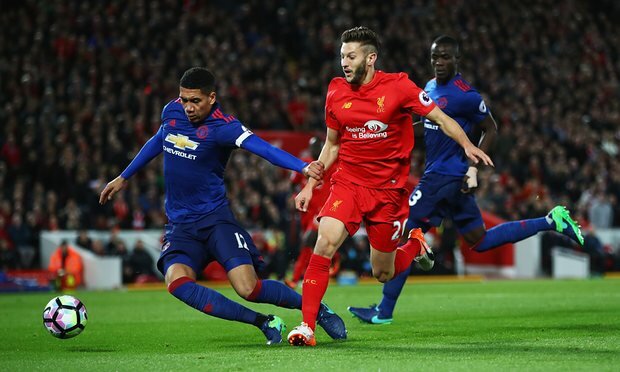 Manchester United captain Chris Smalling has played down Liverpool’s threat, after his side kept Jurgen Klopp’s team from scoring in last night’s 0-0 draw at Anfield. Liverpool had scored nine goals in their last two home fixtures prior to the game, yet José Mourinho’s United kept them at bay, and Smalling claims they were always comfortable during the match. When asked if Liverpool had troubled United, the stand-in captain said: “To be honest, no. “There was a lot of talk about how Liverpool play and they have started the season quite well and scoring a lot of goals but we knew if we were compact and stifled them the crowd could turn and they did. We played our game plan. “I think we have more than enough to do well. We have shown we can score goals. We have shown we can keep clean sheets and not give too much away to our opponents. Missed the game? Read our match report here.